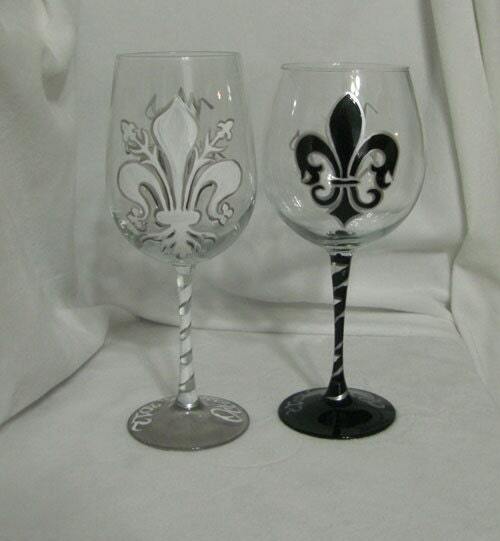 We've taken the classic Fleur de Lis Pattern and made Bride and Groom Wine glasses from them. 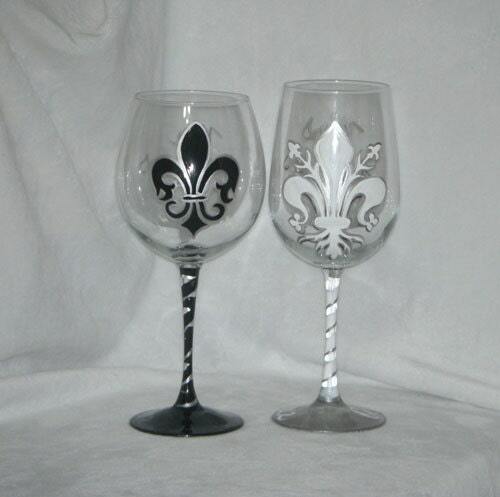 These were painted with one on a red wine glass and one white wine glass, but yours can be painted on two red wines, two white wines, two pilsners or any combination of the above. We can also paint them in any color combination you would like. With the words Bride and Groom or the Bride and Groom's names, you tell us and we'll make them that way. There is no extra charge for the personalization or color changes.